Some people say that Lego is just for kids. I have to disagree. Even though my youngest has a sizeable collection, I have always enjoyed re-building some of his sets. 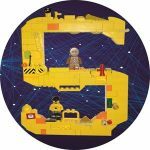 When he was about ten, he threw all of his Lego into one giant plastic tub, Star Wars mixing with City, blended with Power Miners and other random sets. "Shouldn't you keep them together in their sets?" I pleaded with him at the time. "It's my Lego, I can do what I want," was his reply at the time. A year later, he decided that he only wanted to collect certain themes and was keen to sell off surplus sets on eBay. So he asked me to help him sort out the big box. Talk about a labour of love - and not surprisingly I ended up doing a lot of this sorting and checking parts off on model booklets by myself. But it was strangely soothing and therapeutic. It did mean that a lot of classic sets got rebuilt even though they ended up on display around the house as some sort of tribute to my son's rejuvenation at being interested in something other than Minecraft or basketball. He never really got into Lego Technic though. Maybe if he had, I might have seen the learning potential a bit sooner. I was ICT AP at Woodville Gardens at the time of the big eBay sort and I was quite slow about getting into robotics. I recognised its importance and I had an amazing colleague, Mel Andrews, who pioneered the way with RoboCup and then entering a team in the First Lego League for the first time. I wished I'd taken more time to take notice of her work in this area - I took it for granted that her skills were up to the task (and they were) and that I could focus my attention elsewhere. She is a great FLL Coach as shown when her team took home the Project trophy at the SA Regional during the 2016 Animal Allies season. So, when I arrived at Prospect North Primary as the new AP in STEM, Marg, my principal reminded me that it would be great if our school could get into Lego League. And that triggered one of the biggest learning curves of my career, and triggered an obsession that has held my attention since. I am not going to rehash that journey in this post as I have already explored it in detail through the three posts; My FLL Journey - The Rookies Make A Start, The Rookies Go To Regionals and The Rookies Go To Nationals. The whole thing was such a powerful experience and I am still trying to make sense of why it seems to have such a lasting impact on me. 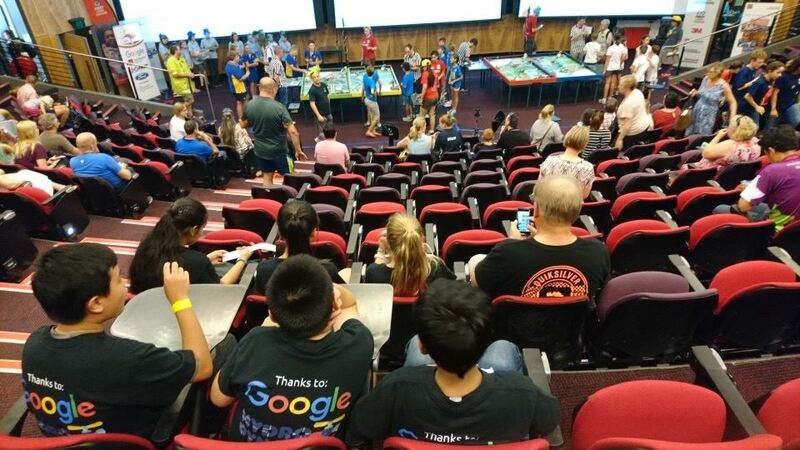 View from behind of team and competition area in Sydney, 2017. I know it had a very powerful impact on that team of students. I know this because I had a visit from two students on day one of Term One demanding to know if and when I was planning to hold a First Lego League meeting to get 2018 underway. Never mind that the next season was still seven months away - these two badly wanted to see if the team who experienced unexpected success in 2017 could continue in 2018. So I called a meeting. And it is testament to the buzz that FLL and the 2017 team's success that I had 47 students turn up to that meeting in the first week of school, with 31 of those students being girls. The remaining H2Flo members organised a separate meeting to create an ambitious roadmap. They wanted the team to stay together - only two members had gone onto high school so they determined they wanted to recruit suitable new members. It was an amazing meeting driven by the students - I wasn't the only one who had developed a Lego obsession. To be accurate, it's not really a Lego obsession with the actual product. It's more an obsession with the whole First program and the ideals and opportunities that exist within it. The robots are like the reason to go deeper on a whole bunch of other important and deeply engaging opportunities. It's about self improvement, it's about group improvement and it's about challenging yourself with new learning. And that applies as equally to the coach as to the student members. The team resolved to meet regularly. Two members, Anna and Minjung, decided to make the 2018 journey the subject of a personal learning investigation. They reflected on the whole experience, especially the National Tournament and decided to put observations into action. An example of this was the adoption of a new name. They noticed that many of the highly successful teams, ones vying to earn the coveted invitations to the International Tournaments, had permanent names not linked to the current season's themes. It's like a statement, we are here to stay, we are not a one season wonder. 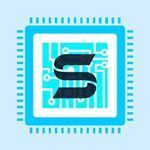 So the name Synergetix was born - a hybrid of the word synergy (a quality that the team felt in its best moments especially in Core Values based activity) and robotics, and stylised with an -ix suffix. They listed out their ambitions. Achieve a high placing at November Regional and qualify for the State Championship. Place high enough at State to earn an invitation to the December National Championship again . Find sponsorship (team t-shirts, promotions, travel containers, travel and accommodation). Strive to qualify for International / Asia Pacific Championships. To work towards those ambitions, they set out targets to bring some of these to possible fruition. The team wanted a website, some social media presence, some promotion of their progress so far. They wanted to get better at coding, to start thinking about the next season's theme and the ramifications for their research project, they wanted to recruit new members who would add to the team chemistry but bring new individual skills and to help mentor others outside the school. They found these new members who initially looked like rabbits caught in the headlights but now feel, in the words of one recruit, like they have been part of the team all along. In my role at the school, I have been leaning on their expertise a fair bit. So far this year, the team has run workshops for adults both at a Partnership Closure Day (over 20 adults coming through) and a STEM Lead Learning Day where they presented to 30 more adults and ran them through the basics of Mindstorms programming and the broad goals of the First Lego League program. They have been amazing ambassadors in that regard. My former colleague, Mel now in a new role as STEM Coordinator at a new school, brought her students from Challa Gardens Primary down to gain some experience and insight into FLL. This is their first taste of mentoring - a question that is often asked in Core Values sessions is how have you helped others with Gracious Professionalism®? Challa Gardens students getting a crash course in EV3 coding. Opportunities have opened up where the student's FLL experiences have provided a skillbase and a narrative to engage with others. I was contacted by the Rotary Club of Prospect about the possible donation of hand held microscopes. Being a disadvantaged school and a STEM school at the same time, this was a generous and on-point offer that I gratefully accepted. But I thought about how to turn this into a more impactful connection and recruited Anna and Minjung who had been spending time thinking about the possibility of sponsorship. I asked if they would be prepared to host the Rotary dignitaries at an assembly and be their tour guides around our school. 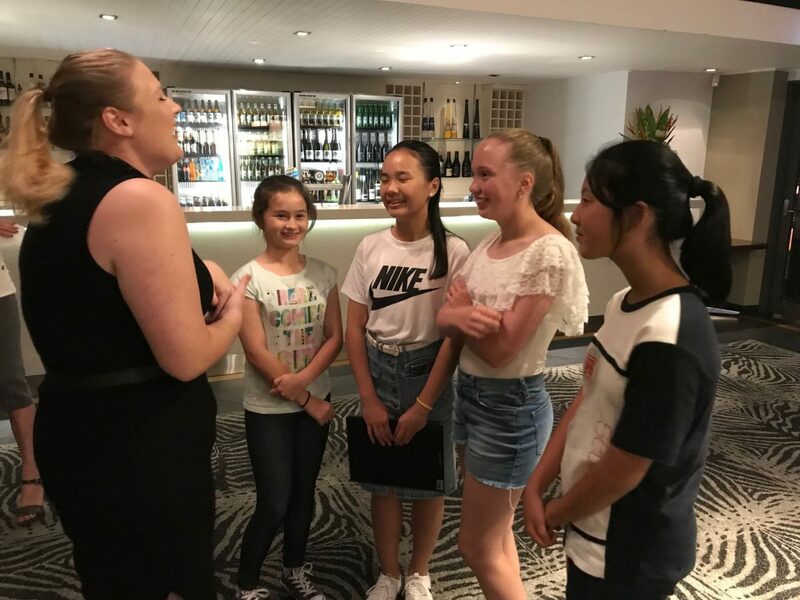 Anna suggested that perhaps that they could chat to them about our FLL team and give them a formal letter asking for support, and they would also create a certificate of appreciation. Well, after a couple of postponements due to swimming and Harmony Day, we hosted the President Lynne and the Team Leader for Youth Projects Barry at the assembly and the girls did an awesome job. They showed the visitors through a display of the journey (you can see it here on the website) and introduced them at the assembly with confidence and respect. Lynne was so impressed that she rang me later that day to invite any interested team members to a Rotary dinner meeting on the following Wednesday focussed on Rotary Youth Leadership projects. This was a real honour and the students were asked to bring their display for other Rotary members to peruse. Four students went, including two of the new recruits and it was a great evening where the kids got to hear from and then meet some high achieving young people including Jerida, a young woman well on her way to becoming a specialist eye doctor. We started off hoping for a sponsorship possibility but have ended up with something better than simple funding - seeing how opportunities to connect with others can lead to students pursuing their goals and uncovering talents or possibilities that might have been previously unnoticed or underdeveloped. Talking to Jerida, the inspiring young doctor with Synergetix members at the Rotary dinner. So, despite the fact that the new season doesn't officially start until August, this team is really striving for success and the novelty hasn't worn off ... at all. I can't help myself either - by trying to be the best coach I sometimes overstep the mark but this team are good at pushing back in a respectful way if my vision isn't aligning with theirs. For example, Anna said that she had created a logo for the Instagram account (still needing some content before being publicised) but I thought that I knew what the team wanted and created my own idea over the Easter weekend using some of my son's left over Lego. I built, I photographed, I photoshopped and created something that I thought looked pretty cool. But the frowns and measured comments I got when I showed the group told me that it wasn't what they wanted. And when Anna showed what she had created on her phone I had to concede that her effort was a lot better than mine! Not quite what we had in mind, Mr. Wegner. The website is now up and running. I give up most of my break times to help supervise the team as they practice using the Animal Allies kit we purchased at half price from First Australia. I watch YouTube videos in the evening to try and identify the sweet spot between what they managed to do in 2017 and what they saw was possible from teams like Project Bucephalus, Sussex Smashers and our local gurus Roboroos. I play around in Photoshop trying out t-shirt designs with different fonts and bring them back for the team to approve or discard. I even took an EV3 kit home over the Christmas holidays to try robot building for myself, looking for elusive plans to create a box robot. So, why? There has to be a bigger payoff than just playing with Lego and helping kids ready themselves for a competition. Why has this bug bitten so hard? What is it that I struggle to articulate even to myself? I know the FLL program has raised the profile of STEM around our school - but it's one of many initiatives and opportunities (I haven't even touched Digital Leaders, Kids Teach STEM Conference, Junior Lego League, Robogals or StemNation in this post) that the school provides. Maybe it's the growth in these kids as they gain confidence and skills. Maybe it's because they start to dream and imagine possibilities that they didn't know of before. Maybe that's all true for me too. It could be that just by being the facilitator, students can do things that are well beyond my own personal capabilities. Maybe it's being involved in something that is global, that has recent history and tradition, something that puts robotics and STEM on the same adulated platform as a major sports event. Maybe it's all those things and more. All I know is that when Twitter alerts me to an exclusive preview of the Into Orbit ™ robot game, beamed from the FIRST World Championships currently happening in Houston, USA, I am as keen as anyone to check it out and speculate about how it might be used later this year. Through social media, I can check out those teams we saw in action in Sydney about to experience the height of their own FLL Journey. I can read the coaches forums and hopefully glean advice that can help me help my team so that they feel they had the best shot to try and achieve those goals and ambitions. Because as Professor Michael Heimlich said to the assembled masses at the Sydney Championship, and I paraphrase, "Don't let anyone tell you that you're just playing with toys when you are involved in FLL. You are developing skills to become the future engineers and future scientists of our nation." If my current obsession helps towards that goal, then it surely is a good thing. Posted in Personal Reflections, Programming, Robotics, STEM on April 20, 2018 by Graham. I think that Lego can be powerful in so many ways. I remember my Year Fours furiously constructing worlds and vessels with the basic of blocks. It was fascinating and gave me an insight into a whole other world. I have also seen some students really dive into the NXT world. We collected over 2000 cards from local businesses which was good but we only had one disc cutter so it too a long time to cut out the bracelets. Actually making the bracelets took a long time with split rings so we changed to regular rings. We got a lot of orders and spent nearly every lunch time making the orders. We were still making and delivering them on the last day of school! We met with a jewellery store buyer in Birmingham and she is giving us a table at a street event in the summer which is awesome. Apologies if I have misread (or poorly read) your reflections Graham – and I think what you are doing is awesome – I am just wondering about the rest of the students. Hi Aaron, Thanks for stopping by. You raise a really good question in wondering about the rest of the students – it is something real that I grapple with. Anyone can join in but not every one can is the semi-contradictory predicament. I can take heart in the fact that we are probably going to field 3 teams this year which will cover the majority of kids who want to participate. From this term onwards, we are going to put some class time towards it as well as the break times. FLL is the next step on from what is being offered as part of our STEM learning programs and is an opt-in program in the same way that school sports teams are. There are limits to how many people can be on a team and a good team has a balance of different skillsets and temperaments. Not everyone wants to play sport and not everyone wants to be part of FLL – as a member of leadership with a STEM focus, I have the chance to lead this out to provide the opportunity for these STEM curious students. So I do. All of our students have the chance to use our Mindstorms robotics kits. Some find it frustrating and breathe a sigh of relief when the lesson is done – some find building a real challenge while others can’t wait to get to the programming. 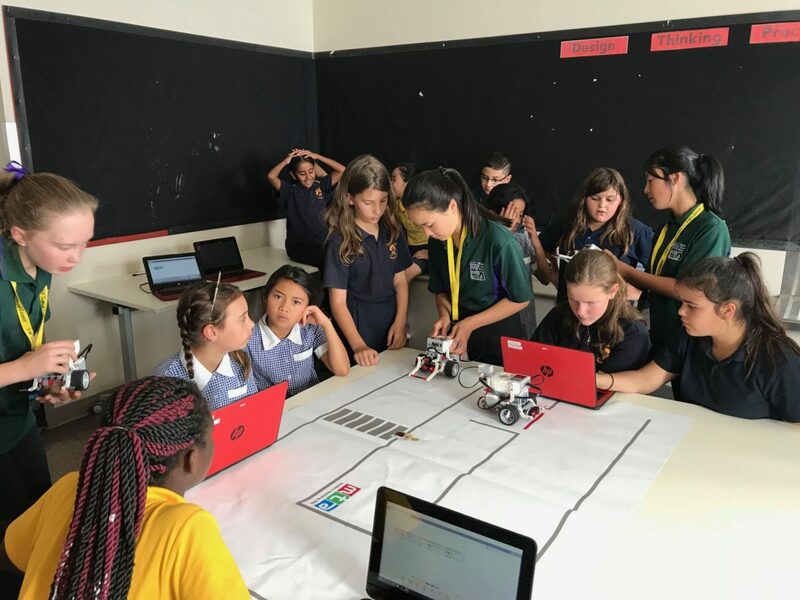 What FLL does is offer those engaged kids a pathway to utilise and extend those skills in a program where they can measure their progress against and learn from others. It is probably an “inspiration” type program as well because it is broader than just programming robots and includes a lot of teamwork and research skills. Because it is international and learning from others is a key component of the program, improvement can be “hothoused” through the resources and ideas provided by others. I suppose I rationalise your question about who it impacts in the following way. If we don’t participate, then no one gets impacted at all or the impact is limited to the lessons I provide and the students learning by experience and from each other. If I run 3 teams that is about 30 students out of the just 100 we have in our Year 5-7 cohort who get to be involved. There is still the spinoff of the students who see it happening one year and then decide to get involved in the next – and the impact of the kids being involved back in our school in terms of running lunchtime groups, serving as mentors, running student led workshops and so on. I’ll be honest – it is also good PR for the school and opens up different opportunities. And it makes me keep looking for other STEM related opportunities for our students – I organised for 15 interested girls to attend a Robogals workshop during the holidays and we have signed up for a StemNation Challenge that involves building a wetlands vehicle – this will attract and cater for a different type of student. Thanks for making me think – I have been wrapped up in this experience so stepping back and asking a few probing questions is a good thing. This was not a comment about Lego, more so the ‘Inspiration’ programs. You make a good point about those students who dread NXT etc … I agree with it being an elective or something comparable. It is a challenge. My greater concern is derived from a showcase day I attended where every school showed off the cream of the crop that were a part of some exceptional program. Then they had Go Fund Me page to get them where ever they needed to go. It is great to celebrate learning and let students extend their passions, but at what cost? On a positive note, I visited a school last year that replaced their specialists (other than Physical Education) with a ‘STEM’ program where they covered the lot in an interdisciplinary approach. Actually, our STEM at my school is generally covered through the interdisciplinary approach. We use Design Thinking as a common structure to design and implement STEM units of learning and we also have a lot of investigations and personal projects as central to our student learning program. The only specialists we have are PE, Visual Arts and Spanish and my role is to help upskill where needed to get the STEM learning up and running quickly, and to also co-teach and coach with teachers in the classroom. For example, a class is investigating simple systems (pulleys and planes) through looking at designing their own playground equipment – if they want to prototype their designs using Lego WeDo then I can familiarise everyone with the technology so that it can be utilised for the intended learning. We are a disadvantaged school with 60% ESL so the “inspiration” programs are supplied with the intent of providing opportunities for students who would not otherwise get that chance. I know that there are many private schools where it is about showcasing the cream, but honestly, for my students participating the key ingredient is commitment. If I look at my team that got to go to Sydney last year – they were still learning how to code and still have yet to master use of colour sensors, their robot was a slightly modified “booklet” EV3 robot, their project lacked quite a lot of depth but they connected really well as a team and that was where they found success. You mention the cost – but that is a reality in our society for anything that is remotely team related. If my son wants to play in an interstate basketball carnival, there is a cost involved. Performing arts groups also do that, language exchange opportunities abound. I don’t have a problem with that – a school like mine will have to work pretty hard to gain funding while an elite private school can just add it onto the fees. We funded last year’s trip with a Federal Government grant that is specifically set aside for STEM based competitions. So, for me, the cost is no different to a large number of other pursuits that can start out of the school environment via a drama, music, or sports starting point – it is great that there are high level pathways that can be followed for the STEM enthused students. And none of that is guaranteed – lots of factors play into whether a team can even get to the stage where they are seeking any funds. Agreed, that if this is all a school is doing towards catering for students’ STEM needs then priorities are out of whack. I feel confident that this is not the case in my own professional situation. I am all for STEM and whatever that might mean, but it is only increasing the haves and have nots in my opinion. Aaron, I am not sure that I respectfully agree or disagree with that last statement of yours or not. It all depends on who you are defining as the haves and have nots. It could be that I am still unwilling to stand back from the feelings I have about a program like FLL and view it critically through the lenses you are suggesting. Thanks for the discourse – the fact that you have made feel uncomfortable is a good thing and this is not a discussion that needs to have a definitive conclusion. I like to think that I am helping facilitate for a cohort of kids who in the past have been the have-nots – but it is definitely an elective option that needs to be balanced with the work I need to do for all of the students at my school. It’s why I spend a fair bit of personal time on aspects to avoid it taking a disproportionate bite out of my at-work time. It’s cool – we all make choices about what represents good value. Legos are interesting manipulatives that helps to build physical, emotional, and cognitive skills. It is a good idea to expose childern at the early education level to the use of legos. As I observe young children at free play in school thy build very creative objects such as trucks, boats, and people as their imagination run wild.